I recalled seeing shadow code in the AirCrane directory so I investigated and it was using an altitude condition that effectively shut it off. It is now working again with a persistent GUI choice. I think I will add the als-shadow and while I am at it maybe interior shadows. 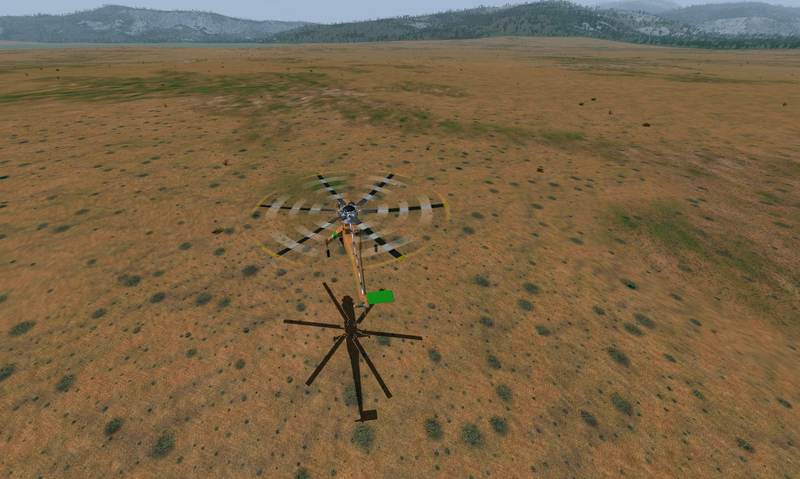 FYI: I briefly tested some of the default FG autopilot features with the Aircrane. What I found was that some of the features actually work, better than I expected. 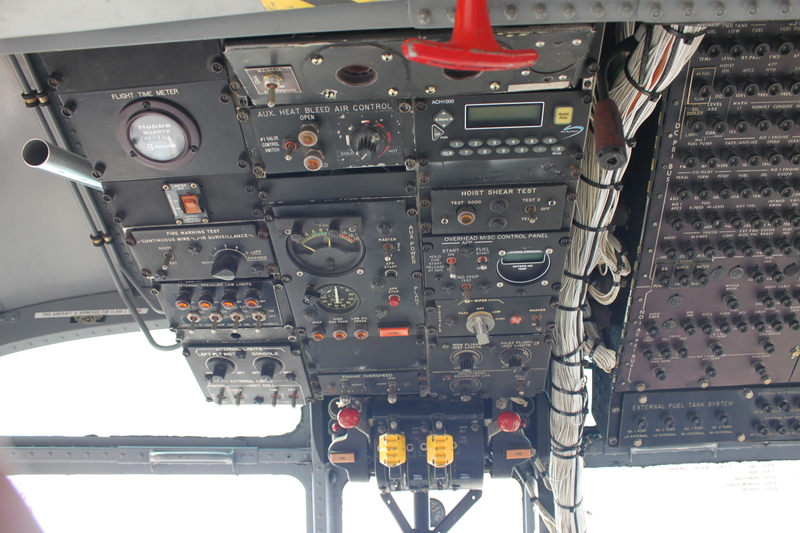 Pitch/Attitude Control - Pitch hold works well with the helo if you mind your speed. Unfortunately I have a bit of relocating to do to all the panel gauges and switches to be able to include them in the shadow effect. wlbragg wrote in Thu Oct 19, 2017 6:10 pm: Unfortunately I have a bit of relocating to do to all the panel gauges and switches to be able to include them in the shadow effect. Yes, although I haven't used it yet, now would be a good time to try it out. Thanks for the suggestion Richard. ALS interior shadows is now pushed. wlbragg wrote in Wed Oct 18, 2017 4:36 pm: Pushed a couple additions yesterday to the tank system. 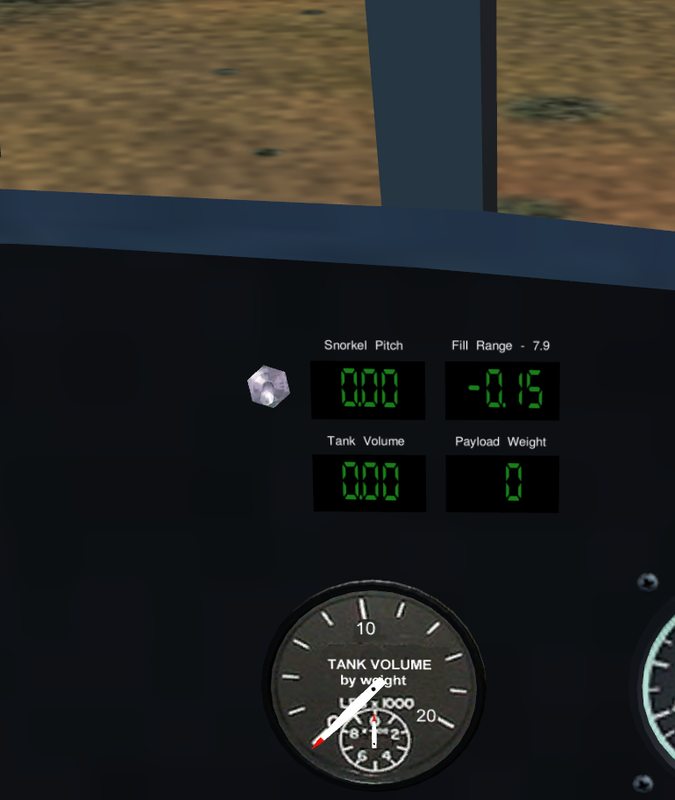 Even though they may or may not be standard indicators on the Aircrane, for convenience in refiling the tank, I added some visual references (potentially short term), that will help the pilot fill the tank when flying with an interior view. Eventually I want to move them to a pop-up GUI and only keep ones that are accurate to the real world. Oh! I like that you have both digital and steam gauges. Thanks! Your welcome. 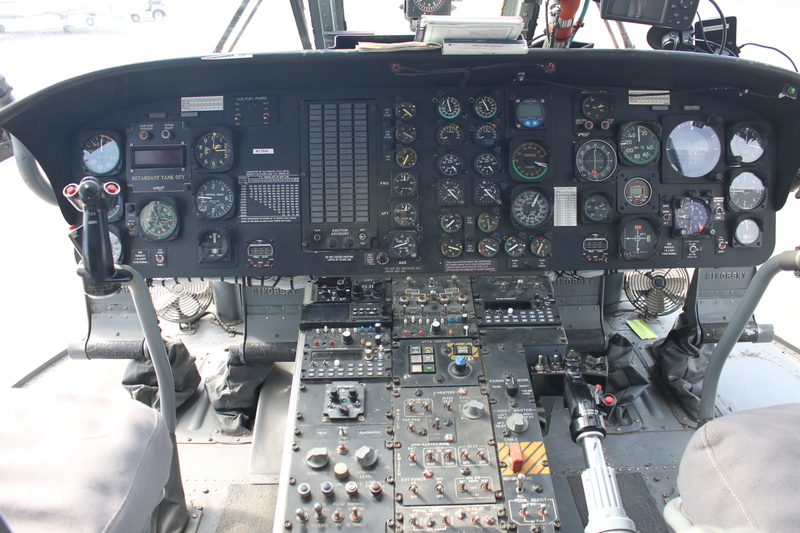 I'm still looking for definitive documentation as to exactly what indicators and gauges are out there in the real world and where exactly they are placed in the cockpit. When I find that out all these will be relocated to the appropriate place. When that happens I still plan to make some GUI pop-ups for convenience so we can easily see what status the tank is without the risk of loosing control. Eventually I want to be able to control the aircraft with autopilot from the rear facing engineer seat. After finally figuring out how to inject a model into the scenery using nasal, thanks Thorsten, I was able to do away with the AI scenario cargo concept. This is way better. I have one more test to do dealing with dynamic updating of the injected models. If it works well enough I might be able to really clean up the cargo hauling structure and eliminate a couple of clunky xml files. The latest changes have been pushed to the development repo. FYI: I pushed a fix to fgaddon for a major bug in the filling and discharge speed of the tank. So, if your using the fgaddon version, it should work correctly now after an update. Really good news, I just tested the new method of using a nasal injected model into the scene and the teleportation issue appears to be resolved. This is really good news. I can now dynamically move the cargo model and eliminate for sure the hard docked xml code and eventually the long line xml. What do you need picture wise? Oh my, I can't thank you enough, those are perfect and fill in a few gaps. Did you have to gave me a whole different external tank design to put in the works. That is a monster tank! Our Aircrane can't lift the one we have now when full. FYI: I just pushed a major update to the cargo hauling system. Your not visually going to see a whole lot of difference, but the internal code structure is considerably different. Beware, collision is now on for cargo if you touch a cargo object too hard you will crash. Beware, the dump truck weight increased from 4000 to 20000 lbs. Hard docked cargo will cause a crash if you roll at to great a degree. The long line cargo visuals while on/near the ground still need work.